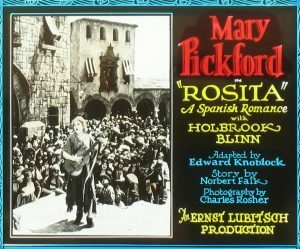 On Saturday June 1, Rosita, starring Mary Pickford and directed by Ernst Lubitsch, will be screened at the San Francisco Silent Film Festival. 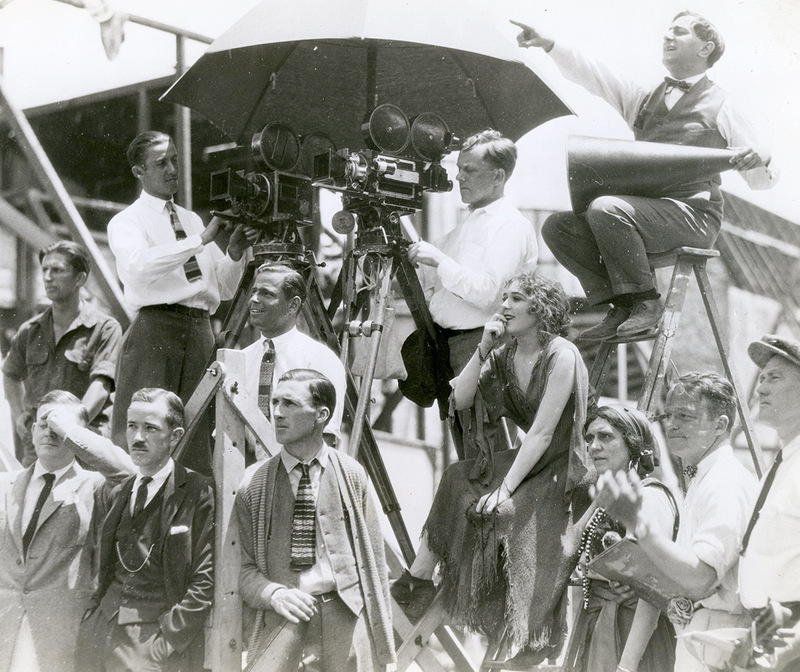 Restored by MOMA with cooperation from the Mary Pickford Foundation, the film will be introduced by the Foundation’s resident scholar, Cari Beauchamp. 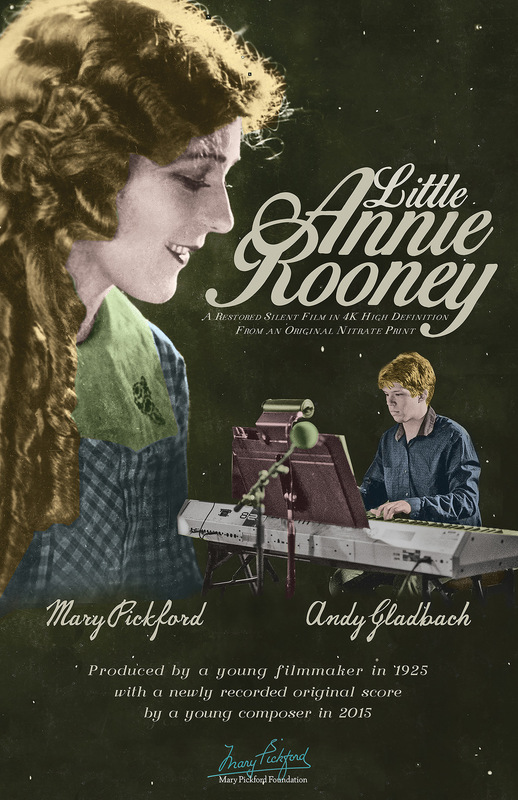 Little Annie Rooney starring Mary Pickford will be screened at the Paramount Theater in Seattle on Monday, April 23rd with live music performed and conducted by the composer of the score, Andy Gladbach. He will be accompanied by an ensemble of musicians from the Seattle area. 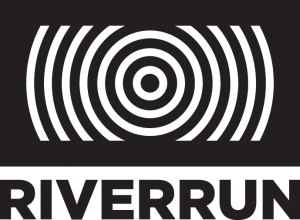 Sponsored by the Seattle Theater Group, this 4K high definition restoration will be introduced by the Pickford Foundation’s director of archive & legacy, Elaina Friedrichsen. “The 1925 Silent Film Little Annie Rooney starring the luminous Mary Pickford was an unexpected delight in the True North Canadian Cinema strand and one of the great joys of this year’s festival. It is easy to see why Pickford was one of the most internationally renowned and best loved stars of her day. Pickford is an inspirational figure and a commanding presence in the history of Film in spite of the demure label of “America’s Sweetheart”. Her intelligence plays out on screen in scenes which take the audience on a journey from laughter to loss and uplifting celebration…. 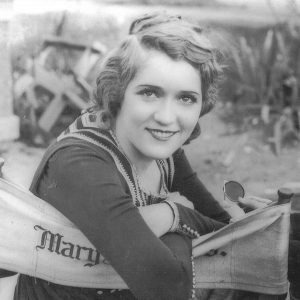 I hope that the Mary Pickford Foundation www.marypickford.org will continue to make more of her extraordinary work accessible to future GFF and other festival audiences. Mary Pickford Foundation’s newly scored 4K high resolution restoration of Little Annie Rooney will be screened at the Glasgow Film Festival on February 18 and again on Sunday February 19 at the Glasgow Film Theater. The original tinted nitrate print in Mary Pickford’s personal collection at the Library of Congress, made from the camera negative in 1925, was brought to the Academy of Motion Pictures Arts and Sciences archive in Los Angeles where their archive preserved the film photochemically, creating new 35mm preservation masters and prints. 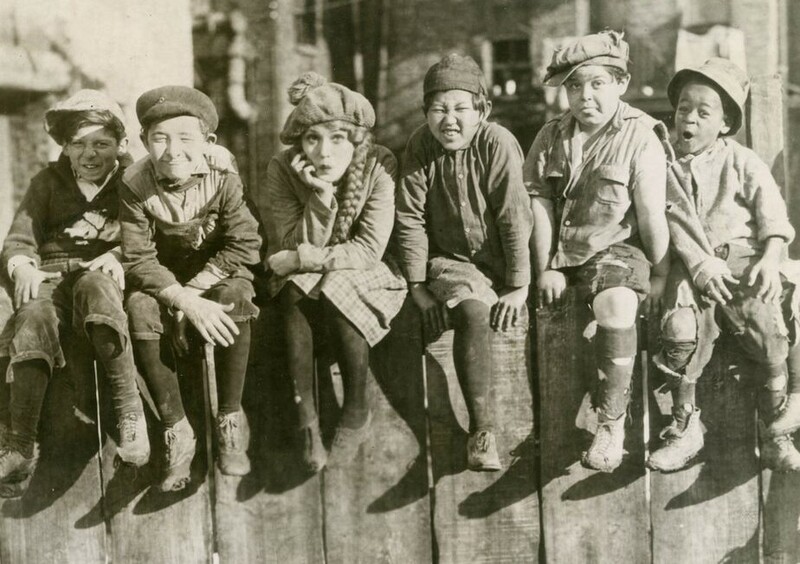 Little Annie Rooney will be screened in surround sound featuring the modern sound track, composed by Andy Gladbach, and recorded with a 12 piece orchestra that included three percussionists. Our own Cari Beauchamp introduces Little Annie Rooney on TCM, the first film to be screened in their eight part series, Trailblazing Women, focusing this year on “Actresses who made a Difference.” Mary Pickford, founder of United Artists, the Academy and the Motion Picture Television Fund, was an obvious choice to be the first of over thirty actresses featured in Trailblazing Women which runs on Tuesdays and Thursdays throughout October. 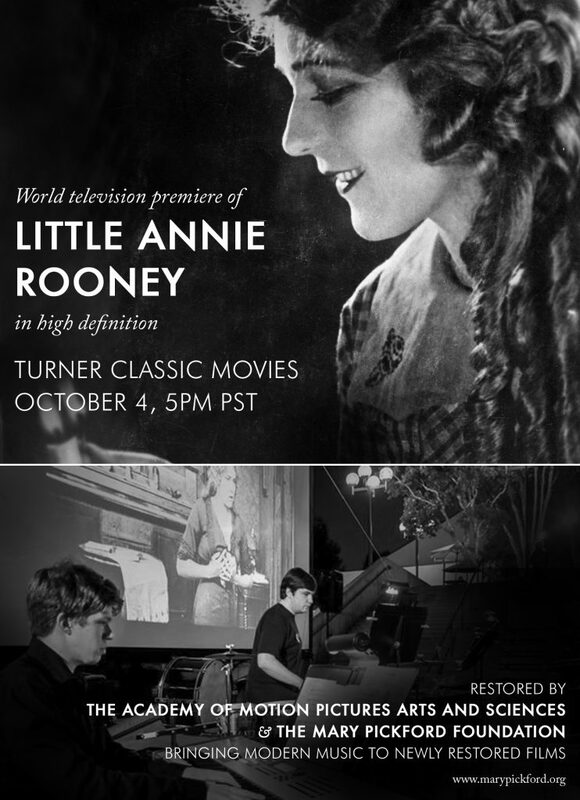 Little Annie Rooney was preserved and restored on film by the Academy of Motion Picture Arts and Sciences from the original nitrate print in Mary Pickford’s personal collection at the Library of Congress and the Mary Pickford Foundation scanned the film at 4k high definition and had it digitally restored. An original score by Andy Gladbach was then recorded with a 16 piece orchestra to bring modern music to this film classic. 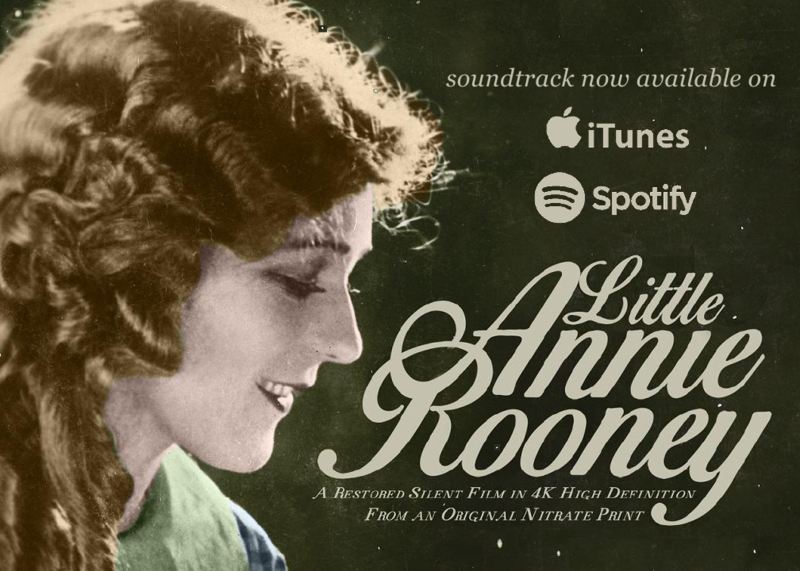 On July 16, the Mary Pickford Foundation, the American Cinematheque and Seeking our Story will present the surround sound premiere of Mary Pickford’s Little Annie Rooney at the Egyptian Theatre in Hollywood. This 4K high definition restoration with an original modern soundtrack provides today’s audience with the ultimate viewing experience of this 90 year old film. The process of restoring and scoring this Little Annie Rooney took several years. The original tinted nitrate print in Mary Pickford’s personal collection at the Library of Congress, made from the camera negative in 1925, was brought to the Academy of Motion Pictures Arts and Sciences archive in Los Angeles. Through the Mary Pickford Foundation’s extraordinary, multi-year partnership with AMPAS, the Academy Film Archive preserved the film photochemically, creating new 35mm preservation masters and prints. The preservation master was then scanned at 4K resolution so that the MPF, in cooperation with AMPAS, could create a digital version, evaluating the film frame by frame, removing dirt and other signs of deterioration to perfectly match the original nitrate tints and tones. Then, through the MPF Composition Program at Pepperdine University, an extremely gifted young composer, Andy Gladbach, was chosen to create a new sound track for the film. Mentored by professionals, Gladbach was joined by a 16 piece orchestra that included three percussionists, as well as a conductor and engineers, to record his original music. The end result combines and showcases the finest work of artists, craftspeople and musicians from this century and from 1925.